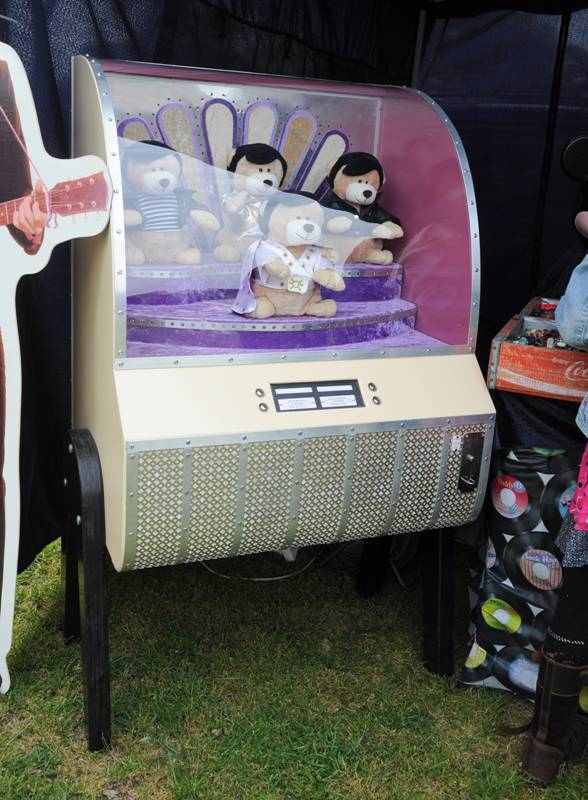 At the 2010 Rock around the Clock Jukebox Open Air Show in Rosmalen, there was again a custom machine presented. This time it was a custom Elvis bimbo box. It was created by the same person who had made a custom jukebox and custom bimbo box with monkeys that was showed at the 2007 indoor Rock around the Jukebox show. The machine features 4 teddy bears. The middle bear is dressed up as Elvis. 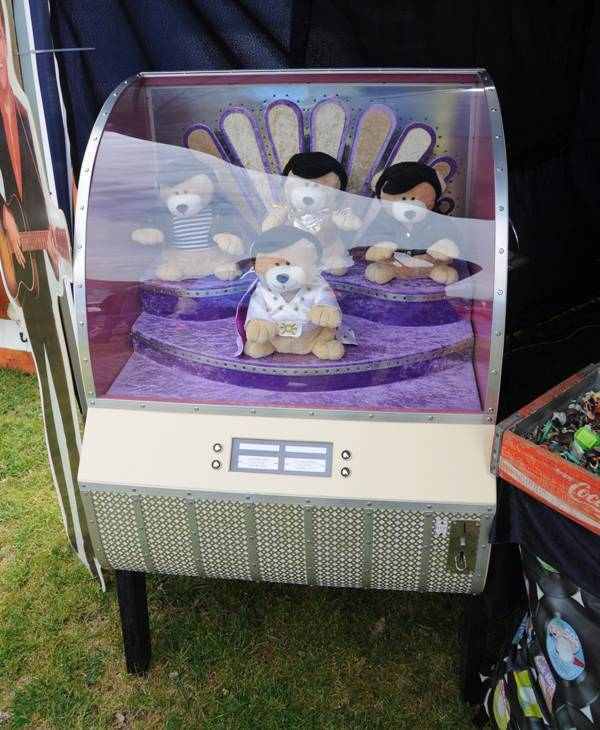 Drop a coin and an Elvis song plays, the bears dance and move their arms up and down, lights in the backpanel go on, .. It's a very nice machine.